The Elimination final took place at M Chinnaswamy Stadium, Bangalore, on Wednesday, May 23, 2012 and Mumbai Indians were defeated by a substantial margin of 38 runs. Harbhajan Singh won the toss and elected to field first keeping in view the strength of his batting line up which was capable of chasing even big targets. His decision paid off instantly as they clinched two important wickets of the top order batsmen for just one run when Dhawal Kulkarni surprised Chennai Super Kings with his initial two deliveries. Michael Hussey and Subramaniam Badrinath stabilized the innings with sheer determination by lifting the score to 95. The third wicket stand was dislocated and both batsmen went back to the pavilion in quick succession for 49 and 47 runs respectively. Chennai Super Kings were once again under pressure after losing five batsmen for 114 runs in 15.1 overs. The captain of Chennai Super Kings, MS Dhoni had some different ideas in mind as Dwayne Bravo joined him after the fall of the fifth wicket. 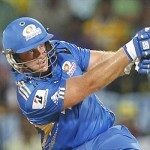 The duo hammered Mumbai Indian bowlers in the last 4.5 overs, thrashed 73 runs and changed the complexion of the game. Dhoni was especially severe on the bowlers and remained unbeaten for 51 from 20 mere deliveries while Bravo sparkled at the other end with 33 off just 14 balls as Chennai Super Kings amassed 187 runs for the loss of five wickets in the allotted 20 overs. Mumbai Indians were confident that their batting was able to achieve the target since the new combination of openers, Sachin Tendulkar and Dyawne Smith was at its best. 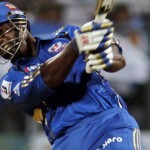 They plundered 163 runs in their previous game against Rajasthan Royals played at Jaipur, on May 20, 2012. Sachin was at the crease with 58 off 51 balls and Smith smashed unbeaten 87 from 58 balls as Mumbai Indians won the match by a huge margin of 10 wickets. They started off well in the Elimination final against Chennai Super Kings by providing a reasonable opening stand of 47 in five overs. Dwayne Smith became the highest scorer for 38 off 22 balls with 2 sixes and 5 fours as the middle order batting line up was unable to tackle with the lethal bowling attack of Chennai Super Kings. None of their batsmen was able to reach the 20 runs mark and they surrendered for 149 after losing 9 wickets at the end of the 20th over. The middle order batting of Mumbai Indians has performed well in the tournament and assisted them in winning quite a few games. Rohit Sharma top scored by thrashing 419 runs at an average of 32.23, the best of unbeaten 109 with 3 fifties. Ambati Rayudu followed him by posting 322 runs at an excellent average of 40.25, the best of unbeaten 81 with two fifties. Dinesh Karthik scored 238 runs, James Franklin 207 and Kieron Pollard contributed 204 which proved their dominance in the game. Bhaji, charity begins at home. Fix yourself first and then blame others.